LOS ANGELES (AP) — What tunes fit a post-apocalyptic society? For NBC's freshman drama "Revolution," the answer is Led Zeppelin's "Kashmir" and "Since I've Been Loving You." The songs will be featured in next week's episode of "Revolution," on the same day that Led Zeppelin's "Celebration Day" album and a companion documentary on DVD will be released. Corporate synergy led to the deal for the onetime rock band that rarely allows use of its music in Hollywood projects. "Revolution" is produced in association with Warner Bros. Television, and Led Zeppelin has a deal with Warner Music Group's publishing arm. But it was Eric Kripke, creator and executive producer of "Revolution," who brought his series and the band together. 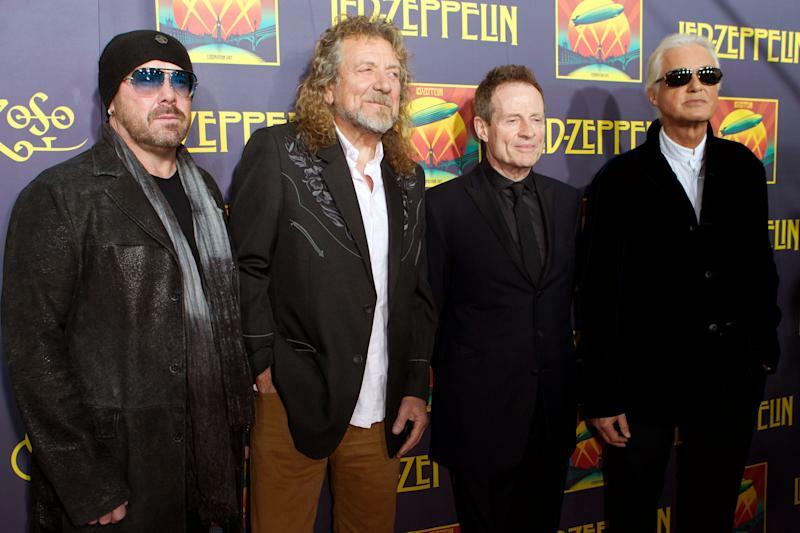 When Warner-Chappell Music sent out an email asking if any producers on the studio lot would be interested in using Led Zeppelin songs, Kripke jumped at the chance. "The speed and overwhelming enthusiasm with which I responded, I think, frankly weirded them out a little," said the self-described "massive Led Zeppelin fan." His credentials: Between "Revolution" and "Supernatural," the CW drama he created, Kripke said he's probably used Led Zeppelin references in the titles of some 20 episodes. "Revolution," about an American family struggling with the nation's sudden loss of all electrity and all the technology it powered, was in part inspired by the band's music and its sense of "mythic adventure," he said. Warner made a logical pick with "Revolution": The series benefits from a 10 p.m. EST Monday berth after NBC's hit singing contest "The Voice" and started strong in the ratings, especially with the advertiser-favored young adult demographic. 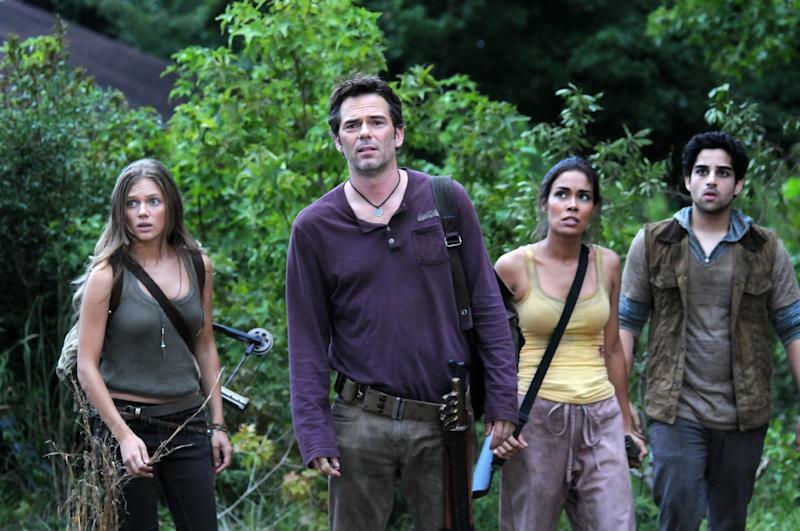 The Led Zeppelin-accented episode of "Revolution" will air 10:01 p.m. EST Monday, Nov. 19. A "Revolution" promo spot featuring "Kashmir" will air throughout this week on NBC, with an extended version available on the network's website. The "Celebration Day" projects document the band's 2007 reunion concert at London's 02 Arena. Original members Plant, Page and John Paul Jones, along with Jason Bonham, son of the late drummer John Bonham, played to honor Atlantic Records founder Ahmet Ertegun. For the group, which disbanded after John Bonham's 1980 death, the concert was its first full show in 27 years. The documentary, including hits "Whole Lotta Love" and "Stairway To Heaven," was released in theaters last month.